More changes to British Airways Club World. No more trolleys. Around 15 months ago, with much fanfare, British Airways announced some modest changes to the Club World service. These included new bedding from the White Company, which took around nine months to roll out fleet-wide. Whilst it took a long time to introduce, it was a huge improvement to the previous items of bedding and I actually found to be very good when I used them on a flight to Dallas, back in April. One of the other changes was the introduction of catering by Do&Co on the New York JFK and Chicago routes, coupled with something that they call “Restaurant Style Dining”. British Airways recently announced that they have expanded their contract with Do&Co, so that they would be taking on all of their long-haul catering, from Heathrow and Madrid from 2020. This is also a hugely positive step forwards given the quality of the product that Do&Co are able to deliver to other airlines. However if rumours from the website Flyertalk are to be believed, it appears that the next change they are proposing to make is to remove the much vaunted trolley service entirely. 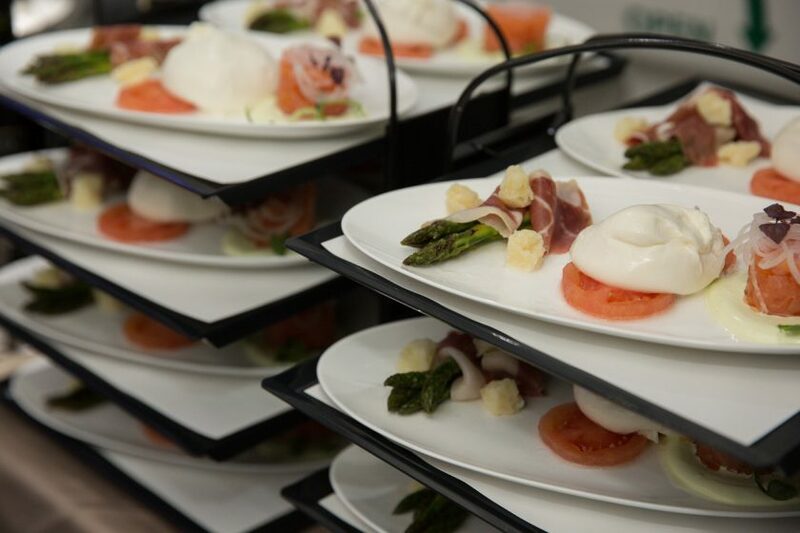 The whole concept was that customers could pick from a variety of starters, salads, soups, and then desserts and cheese as they were taken around the cabin on the trolley. Since the new service concept rolled out, there has been quite a lot of feedback that the service was taking too long. Apparently one of the reasons for the removal of the trolley is to help speed up the service. So from the 28th October, the trolleys will be removed entirely meaning that the service will be entirely hand run from the galley. Another interesting rumour, is that the trolleys won’t actually fit in the cabin due to the new Club World seat. This is a curious theory, and one which we won’t be able to validate until we get to see the new layout when the A350, or possibly 787-10 fly next year. If rumours are to be believed, and British Airways are going for a variation of a more ‘off-the-shelf’ design, then this would surprise me as I’m not aware of any premium layout flying where the aisles are so narrow that you can’t get a trolley down it. I’d personally file this in the ‘unlikely’ bucket. However, by all accounts, the recent changes to the Club Europe catering seem to have been well received (I’ve yet to try it myself), so hopefully things are starting to slowly improve with catering at British Airways. Previous Post: The Freehand, NYC. Next Post: BA.com has better availability for American Airlines redemptions than AA members have themselves.